If your anything like us the latest winter storm has left you yearning for springtime. No more frozen water buckets, shoveling snow, or cold noses. We’re ready for sunshine and lush gardens but mother nature isn’t quite ready yet. So we’re looking to some of our last year’s tips on battling the winter blues. 1.) Have a cup of tea. Maybe herbal tea you preserved last summer? Sipping anything warm and delicious always brightens my mood. 2.) Grow some sprouts for you or your animals. 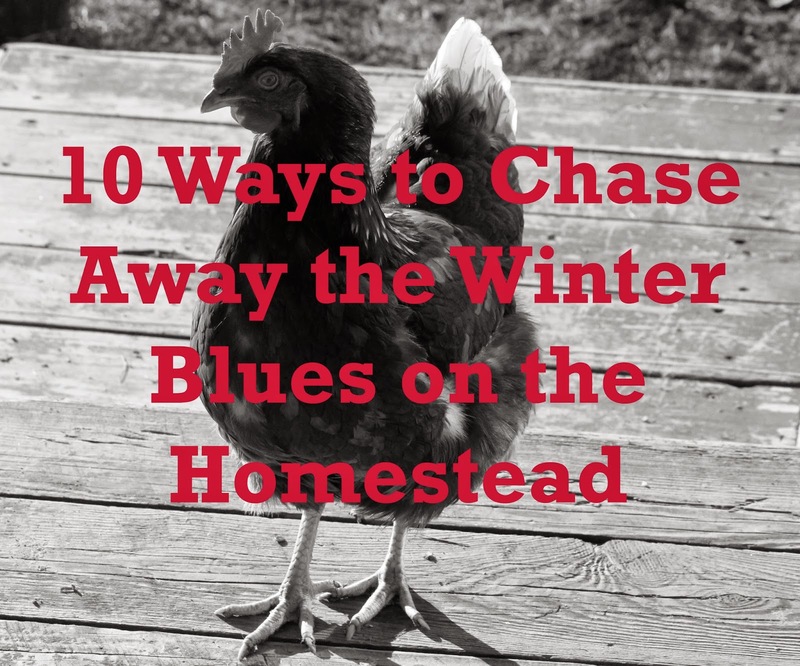 It’s an easy project and greens up your home in the winter. Soon its time to start plants as well but for now we’ve been eating sprouts in our sandwiches and swooning over our seed catalogs. 3.) Bake some bread. This always makes me feel like a productive and successful homesteader and it warms up the house. 4.) Research a summer project for your homestead. Want to try mushroom cultivation or are you putting up a new building? Get a head start and get a plan on paper. 5.) Have outdoor animals? Go out and visit them. We like to shovel the snow off a little patch for our ducks and chickens. It feels more like spring watching them eat grass. Alternatively take your indoor pet out to play in the snow (make sure they stay warm enough though). 6.) Cook with something you preserved last summer. Today we made fruit leather from applesauce we put up last fall. 8.) Take a nature walk. For many part of the decision to live a homesteading lifestyle is to reduce your impact on the environment so take a minute to appreciate it. Winter is one of the best times to get to know wildlife because you can see tracks. So pick up a guide from your local library and head for the woods. 9.) Organize a baking or craft day with fellow homesteaders, like minded friends, or even just with your family. Personally, being around other creative and hardworking people always motivates me. 10.) Reflect on everything you’ve accomplished in the last year. It’s probably more than you realized. You’ll feel great and have a better idea of what to work on this year.